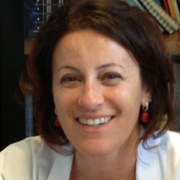 Associate Professor of Medical Genetics, Biomedicine and Prevention Department at “Tor Vergata” University of Rome. From 2014 she teachs “Personalised Medecine: genetic test and nutrition” in Master: PERSONALISED NUTRITION: molecular and genetic basis. Scientific activity is assessed by over 100 scientific papers on International journal with peer review. ~ Principal research issues regard the molecular study of genetic diseases such Cystic Fibrosis, beta-thalassemia, Thomsen/Becker Myotonia, Treacher Collins Syndrome, Galactosemia. At this regard molecular protocols of pre and post natal diagnosi were developed together with the characterization of new mutations or polymorphisms and population genetics study. ~ Currently the research is focused on the creation and study of induced pluripotent cells (iPSCs) as a model of the pathogenesis of genetic diseases; further protocols have been optimized in order to identify residual undifferentiated cells by Volatile compounds analysis, aspect that results to be particularly useful in cell therapy approach. ~ Evaluation of LOX-1 protein role for the insurgence and tumorigenesis of colon cancer, LOX-1 characterization as a novel biomarker and molecular target in therapeutic protocols for colon cancer. nel 2016 : project granted by Foreign Affairs Ministry entitled "Undiagnosed diseases: a joint Italy- USA project"
Spitalieri P, Quitadamo MC, Orlandi A, Guerra L, Giardina E, Casavola V, Saltini C, Novelli G, Sangiuolo F. Rescue of murine silica-induced lung injury and fibrosis by human embryonic stem cells, Eur Resp J, 39, 2, 446-457, 2012. Luchetti A, Filareto A, Sanchez M, Ferraguti G, Lucarelli M, Novelli G, Sangiuolo F, Malgieri A. Small fragment homologous replacement: evaluation of factors influencing modification efficiency in an eukaryotic assay system. PLoS One, 7(2):e30851, 2012. Murdocca M, Malgieri A, Luchetti A, Saieva L, Dobrowolny G, De Leonibus E, Filareto A, Quitadamo MC, Novelli G, Musarò A, Sangiuolo F. IPLEX administration improves motor neuron survival and ameliorates motor functions in a severe mouse model of SMA. Mol. Med. , 18, 1076-1085, 2012 . Sciacqua A, Presta I, Perticone M, Tassone EJ, Andreozzi F, Quitadamo MC, Sangiuolo F, Sesti G, Perticone F. 3'-UTR OLR1/LOX-1 gene polymorphism and endothelial dysfunction: molecular and vascular data in never-treated hypertensive patients. Intern Emerg Med. 2012 Sep 29.